According to some myth, Maharishi Vyas and his disciples and sage Viswamitra decided to settle down in a cool and serene atmosphere after the Kurukshetra War. In the quest for a peaceful abode, he came to Dandaka forest and, pleased with serenity of the region, selected this place. Since Maharishi Vyasa spent considerable time in prayers, the place was then called "Vasara" and turned into Basara due to the influence of the Marathi language in the region. It is also believed that this temple is one of the three temples constructed near the confluence of the Manjira and Godavari rivers.Read More.. In Tretayugam, there lived a sage by the name of Yadarishi, son of the great sage Rishyasrunga and Santa Devi who did penance inside a cave with the blessings of Anjaneya (Hanuman) on this hill between Bhongir (Bhuvanagiri) and Raigiri (in Nalgonda district of Telangana. Pleased with his deep devotion, Lord Narasimha, an incarnation of Lord Vishnu appeared before him in five different forms as Jwala, Yogananda, Gandabherunda, Ugra and Lakshminarasimha. They later manifested themselves into finely sculpted forms that later came to be worshiped as Pancha Narasimha Kshetram. There are Purana and traditional accounts of this Shrine which are widely popular among the devotees. There is mention about the origin of this temple in the Skanda Purana, one of the famous 18 puranas.Read More.. 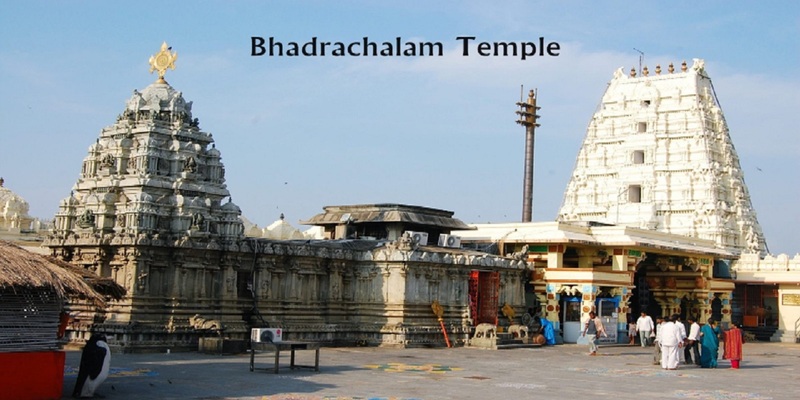 The temple in Bhadrachalam is closely connected with the life of the 17th-century saint composer Kancharla Gopanna who was known as Bhakta Ramadas. Gopanna was the Tahasildar of Bhadrachalam , is said to have used money from the government treasury to build this temple, and was imprisoned in a dungeon at Golconda. Lord Rama is said to have miraculously given the Sultan the money spent by Gopanna, after which he was released. Gopanna then became Bhadrachala Ramadasa and went on to compose innumerable number of songs in Telugu in praise of Rama. Bhadrachalam and Vijayanagara are sites said to have been closely associated with the Ramayana. Rama, Sita and Lakshmana are said to have stayed at Parnasala, 35 km away from Bhadrachalam. Rama is said to have crossed the river Godavari on his way to Sri Lanka to rescue Sita, at the spot where the Bhadrachalam temple stands. Kabirdas, a Muslim by birth is also closely associated with this temple.Read More.. 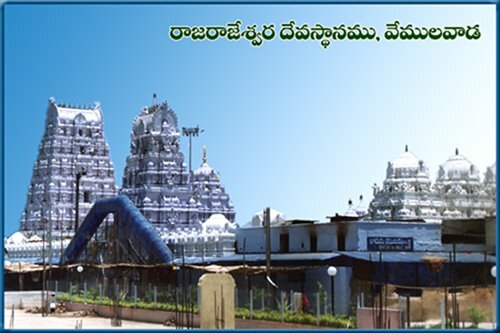 This temple of Lord Siva in the form of Raja Rajeshwara Swami is very famous in this part of the region. The presiding deity of the temple is Sri Raja Rajeswara Swamy who is locally popular as Rajanna who is adorned on both the sides by the idol of Sri Raja Rajeswari Devi on the right side and to the left is the idol of Sri Laxmi Sahitha Siddi Vinayaka. 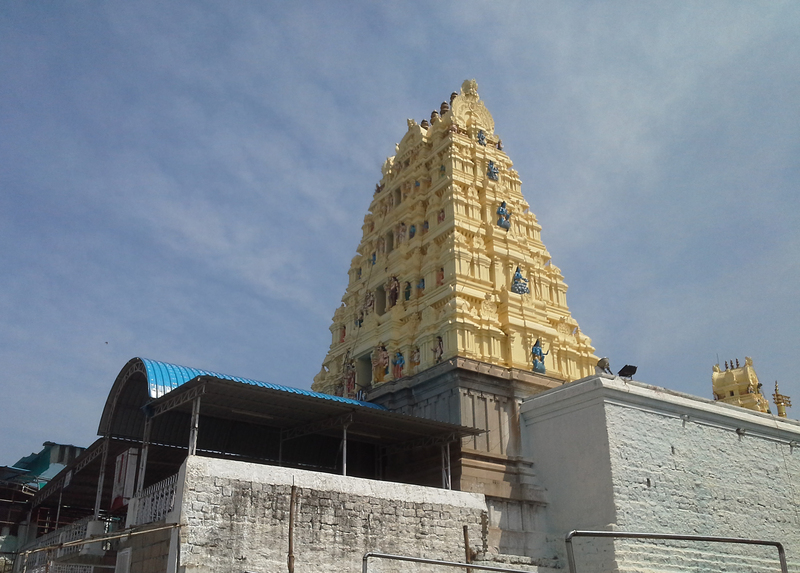 Vemulawada Rajarajeswra temple is situated 38 km from karimnagar, at Vemulawada. This famous temple dedicated to Lord Rajarajeswra Swamy. Interestingly there is a Muslim mosque inside the temple complex where all devotees offer prayers, irrespective of caste and creed. Pilgrims have divine bath in a holy tank, Dharma Gundam, before proceeding for darshan and these holy waters are believed to have medicinal properties. Every year at the time of Maha Shiva Rathri, devotees in large numbers flock to Vemulawada, to offer prayers to Lord Shiv.Read More..